Science, at its very core, is an endeavor aimed at bettering humanity and the world we live in. It is unthinkable to separate the scientific community from society in terms of a mutually beneficial relationship. From the very beginning, it was essential for us to plan for far-reaching community influence, which we deemed every bit as important as our scientific work. We had an amazing time in all the different public engagement projects we took upon ourselves, we learned a lot and our project was made all the better for it. Demonstrating the action of Miraculin: The kids got exited to feel sweetness when they ate a lemon, one of them said “It’s like eating a date”. Experimenting with yeast fermentation by tying a balloon to a plastic bottle containing yeast and sugar and watching the balloon expand. The demonstration elaborated CO2 accumulation in the balloon as a results of glucose fermentation. It was a great way to elaborate small scale molecular reaction in a naked eye. Teaching children about electrical conduction by creating electrical circuits with vegetables and watching a led bulb light up. This activity brought to the children's awareness the hidden wonders of our universe; a realistic elaboration of the electricity with fruits and vegetables. Explaining the concept of 3D films and watching several short films about science. “Academia at the square” - Tel-Hai college has established a tradition of bringing knowledge spanning every imaginable subject and fascinating research breakthroughs to people from all walks of life, in a manner of interactive lectures held at unique venues. It has evolved into a collaboration between the community and the academia, with mutual inspiration driving this project onwards. This year, we created our own course, designed to educate people on the subjects of synthetic biology, winemaking, the iGEM competition and our own project. The sessions included lectures by esteemed professors and professionals from the wine industry, interspersed with interactive activities and group discussions. The first session introduced the concept of synthetic biology, beginning with a short competitive quiz to raise excitement. Dr. Rachel Amir spoke about the history about genetic engineering, pros and cons of synthetic biology in the food industry and much more. The second time, we delved into the complex process of winemaking. Mr.Eyal Drori from the venerable Recanati winery spoke in depth about the industry, the production process and the various challenges hindering it. The third meeting was about the wonderful world of the senses, how we perceive our surroundings and process sensory data. 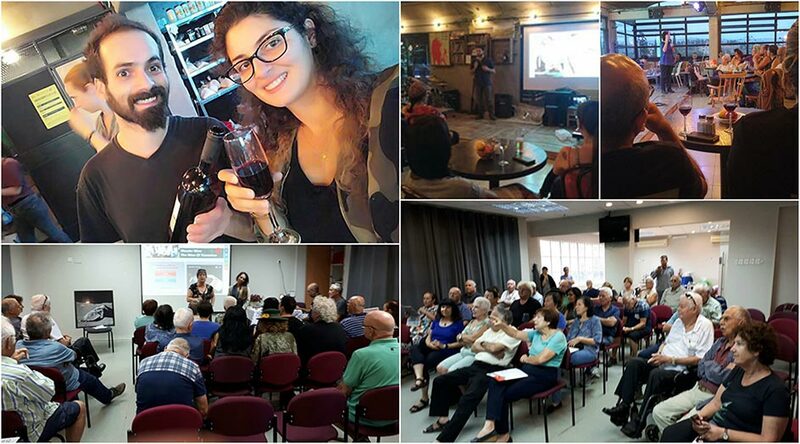 After a lecture by Dr.Ophir Binyamin about this topic, Mr.Eyal Lahat, a wine specialist, took us into the intricacies of sensory perception in wine - the subtle tastes and aromas that go into a perfect wine. The fourth and final lecture was given by us, as a team, about iGEM, our project and the entire process of the last few months. 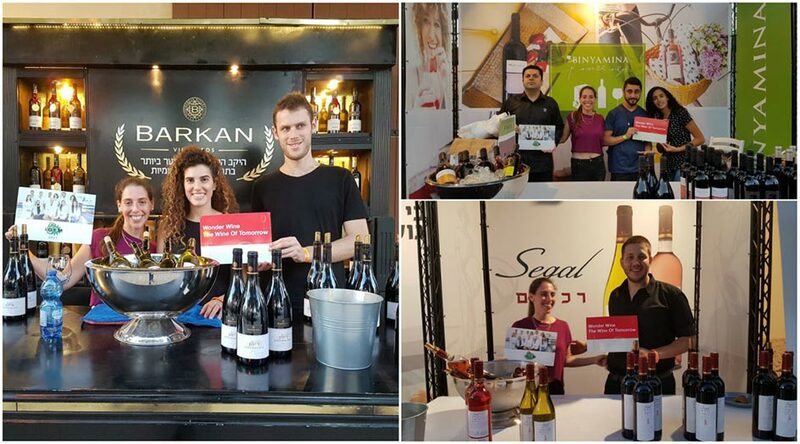 The Grape Man Wine Festival - Israel has a longstanding wine drinking tradition and an internationally acclaimed industry to match. Every year, wineries from all over the country send representatives to this unique celebration, an event meant to deepen the relationship between the wine industry and the community. We recognized this remarkable opportunity to meet with people from both sides of the wine glass - the winemakers and the consumers. We were greatly inspired by this festival and it contributed greatly to the design and concept of our project. Our presence at the festival was aimed at educating people about our project, the vast potential that lies within the fusion of synthetic biology and winemaking. The Kruvit (Cauliflower) Project - Our distinct cultures, as a diverse team, place great importance on philanthropy and kindness to those in need. 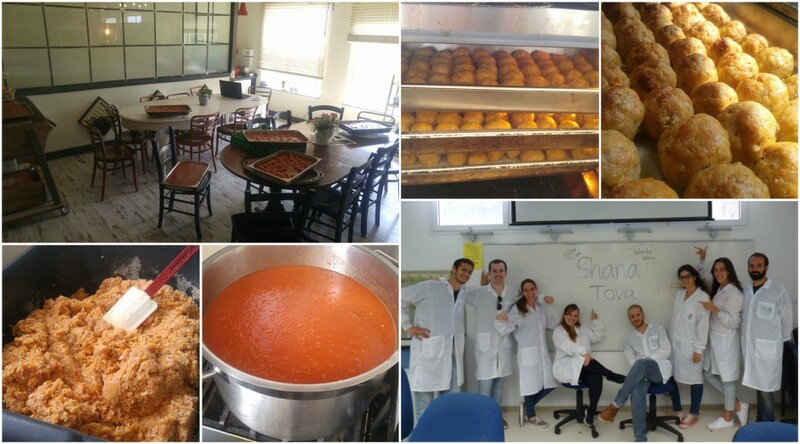 The Kruvit project is a non-profit charity that distributes home cooked meals to the needy. We believe that every scientific venture or company has a moral obligation to give back to society and we were honored to participate in preparing food for people who go without. Raising a glass for the future of iGEM Tel Hai - We were proud to convene in a top-notch restaurant, along with the provost of the college and esteemed members of the board, to discuss the importance of a continuation of Tel Hai representation in the iGEM competition. We thanked all who were present for their support and financial contributions and stressed the benefit of a longlasting relationship between potential donors and future Tel Hai teams. The High-School Project - Everyone should experience synthetic biology! No matter how old you are. 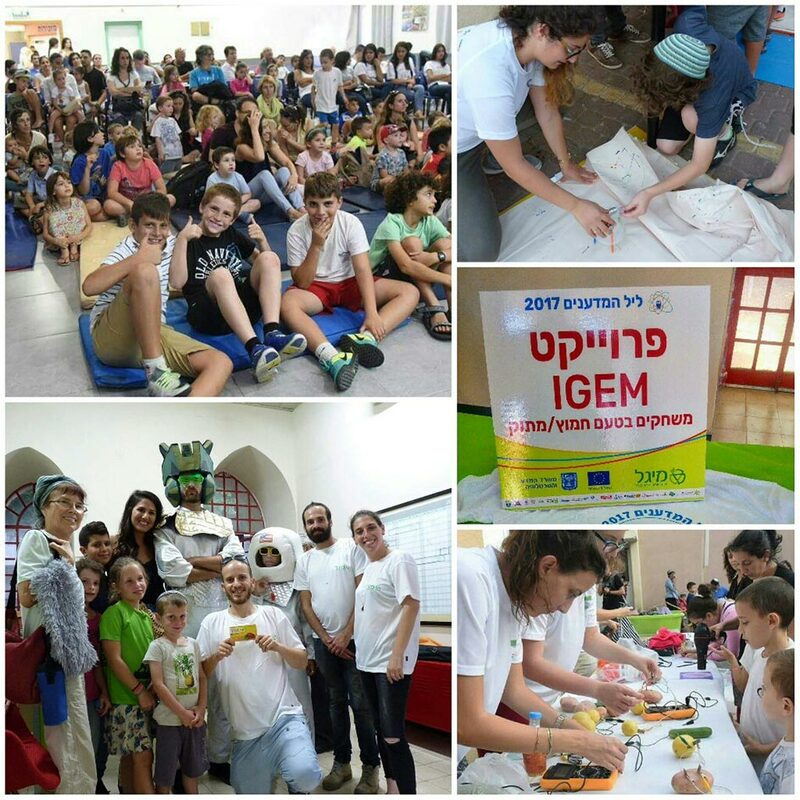 This year, our team open the gates to one special high-school student for experiencing iGEM. Participation in iGEM is a wonderful educational experience and a lot of fun. 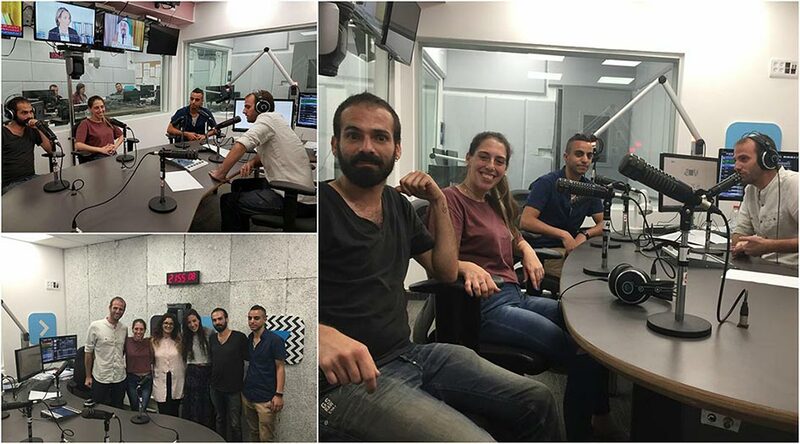 Unfortunately, for the lack of funding and administrative resources there is no high school representation from Israel this year. We set an “Open Call” for extraordinary high school student that have the right potential to become a great scientist in the future. And we are proud to welcome Noam An-Eli to our team, probably the first high school student to take part in iGEM overgraduate section. 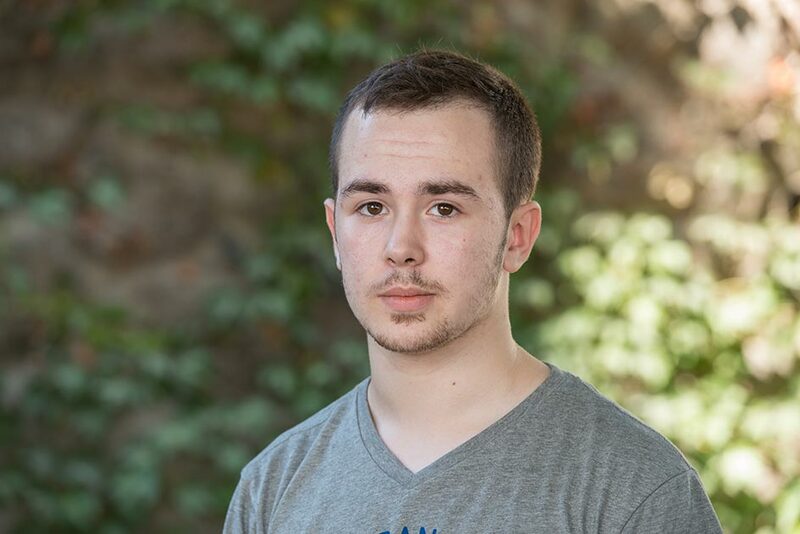 Although Noam is 17 years old (while the average age of our team members is 28.7) he took part in every aspect in this project contributing like everyone else. There is only one problem that we have not thought through! In the community of “Timrat”, where one member of the group lives, a parliament of the settlers takes place every week, in which discussion topics are raised. 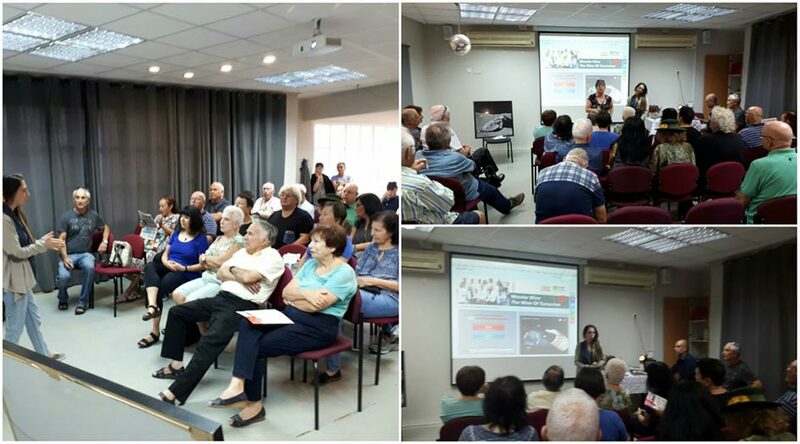 At one of the meetings in the community, our representative came to present our project, in particular to raise a discussion about the synthetic biology in food and present the fundraising campaign for the project.